The demand for SUVs and crossovers has seen an exponential rise over the past few years not just in India, but across the world. According to Ford, one in every four car buyers wants an SUV. 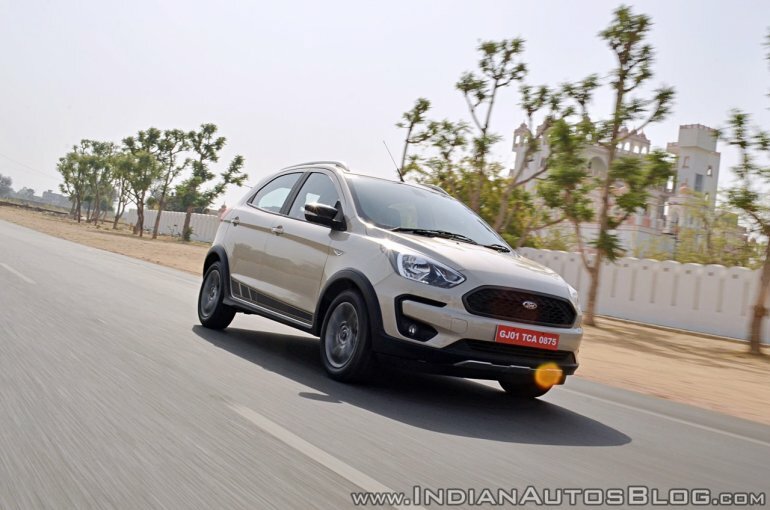 Although Ford already sells the extremely popular EcoSport in India, the company figured there was scope for another product positioned below it. Enter, Ford Freestyle. 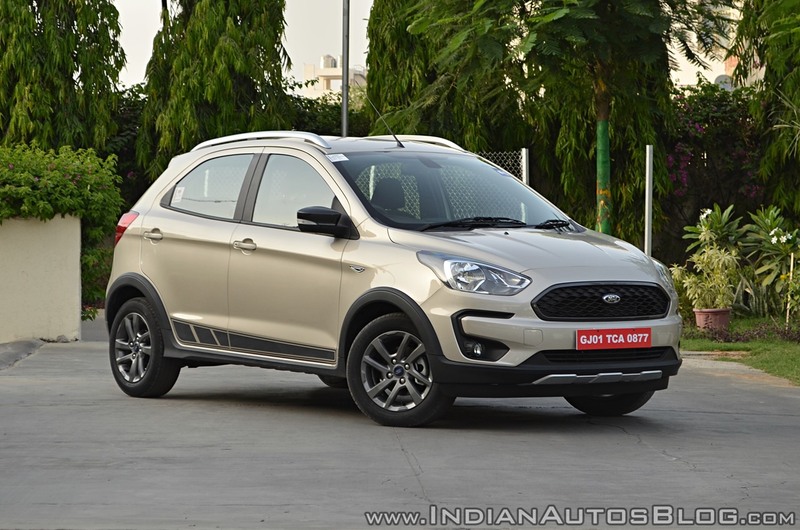 The CUV or Compact Utility Vehicle, as Ford likes to call it, is based on the Figo, but that’s only half the story. There is much more to this entry-level crossover as I recently discovered. As is the norm with crossovers, the Ford Freestyle too gets a handful of SUV-inspired design elements. There is generous usage of black cladding all around stretching from the front bumper, around the wheel arches, to the rear. Both ends feature silver finish skid plates. Compared the current Ford Figo, the Freestyle dons new front and rear bumpers with C-shape elements finished in black. The ones on the front bumper also house circular fog lamp units. In place of horizontal chrome louvers, the grille has a more intricate mesh finished in all-black to complement the rugged nature of the exterior. All grades of the Ford Freestyle get roof rails and the ones on the Titanium and Titanium (O) trims are finished in silver. Oh, and by the way, these are functional and can support a weight of up to 50 kg. Unlike the 14-inch rims of the Figo, this one rides on 15-inchers finished in grey. 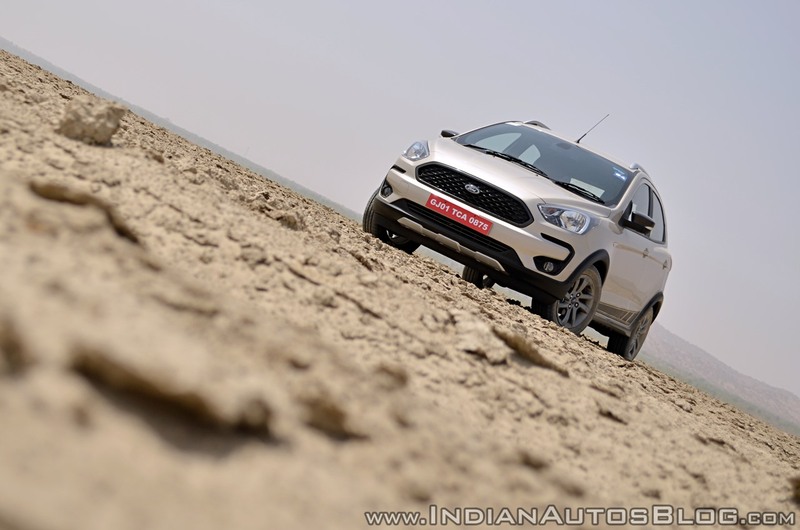 At around 190 mm, the Ford Freestyle rides considerably higher than the Figo and sits on a wider track adding to the overall crossover appeal. 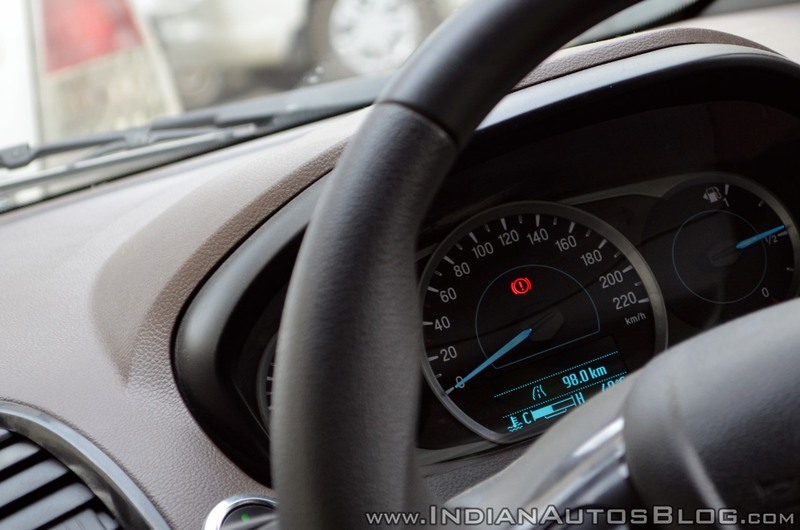 While the basic dashboard layout is reminiscent of the Figo’s, there is one rather significant upgrade. The Freestyle comes equipped with a 6.5-inch touchscreen for the ICE replacing the old-school digital readout and an array of buttons. 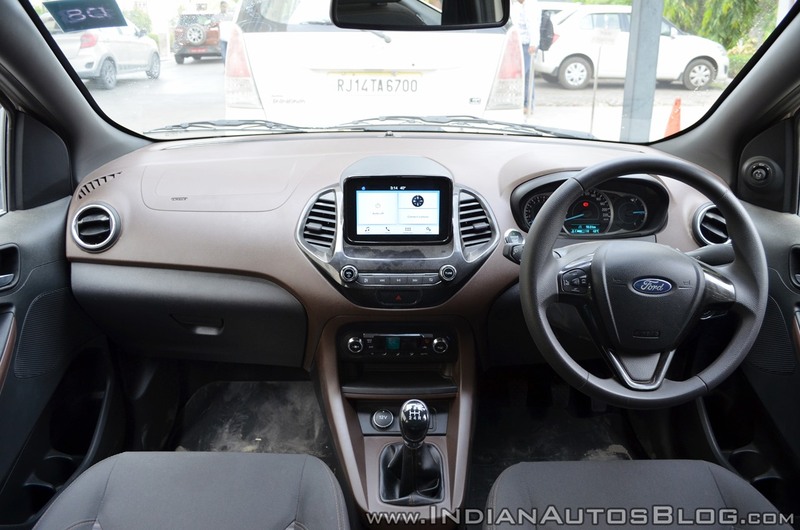 This also makes the centre console look a lot more elegant, as opposed to the slightly cluttered appearance of the Ford Figo’s. For the Freestyle, Ford has opted for a dark brown and black finish. The aircon controls, steering wheel, instrument console, gear knob among other bits have been borrowed from the Figo/Aspire twins. Coming back to the touchscreen, it is quite easily the best in its class. The responsiveness and the display quality are at par with any decent smartphone and Ford’s SYNC3 is fairly easy to use. It supports Apple CarPlay and Android Auto and can connect to a WiFi hotspot. 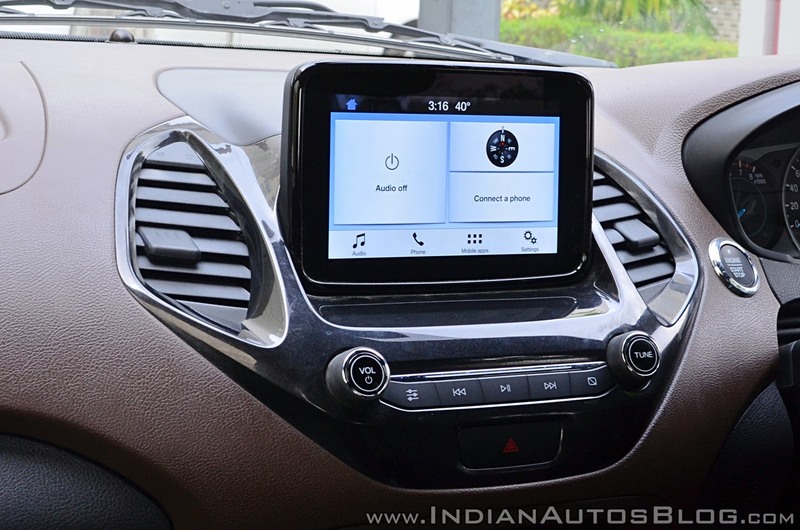 The screen also doubles up as the display for the reverse parking camera, which along with rear parking sensors, is another addition to the equipment list over the Figo. Much like the Figo, space inside the cabin, specifically the rear, is just about satisfactory. Same goes for the boot space. The rear seat, however, has been tweaked to offer more thigh support and that has made a marked improvement to comfort levels. A minor grouse I have is with the fixed rear headrests and the fact that they are set to low to provide much support to the occupant’s neck when seated. While the front seat occupants get generous door pockets big enough to swallow bottles, a rubberised storage spot below the aircon controls for a cellphone or other knick-knacks, and a decent sized glovebox, the rear doors are devoid of any pockets. People in the back will have to make do with the bottle holders placed next to handbrake lever. Notable features, aside from the ones already mentioned, include automatic headlamps, rain sensing wipers, electrically adjustable and electric folding ORVMs, a height adjustable driver’s seat and 6-airbags (dual front airbags are standard). The addition of new features, better rear seats and a noticeable improvement in cabin quality over the donor hatchback make the Freestyle a comfortable place to be in. The diesel variant employs the familiar 1.5 L TDCi 4-cylinder unit from the Figo, Aspire, and EcoSport. It makes 100 PS at 3,750 rpm and 215 Nm at 1,750-3,000 rpm and mates with a 5-speed manual gearbox. If my past experience with this engine is anything to go by, it is likely to deliver class-leading performance and boast respectable fuel consumption figures. Ford claims 24.4 km/l overall for the diesel variant. However, the talking point here is the all-new 1.2 L 3-cylinder petrol mill hailing from the Dragon family of engines. This engine develops 96 PS at 6,500 rpm and 120 Nm at 4,250 rpm, which on paper, seem more than ample for a car this size. Off the line, the build-up of pace is modest at best. However, once the needle is past the 2,000 rpm mark things change, and change for good. The Freestyle gathers speed more briskly and keeps pulling deep into the rev band. It is best to keep it around or above 3,000 rpm to extract the most out of this particular engine. It does tend to get quite vocal at higher revs, but honestly, I kind of enjoyed the sound the three-pot motor made. There were instances wherein the engine expressed unhappiness in second gear at very low rpms. Building up the revs before releasing the clutch fully or shifting down to first gear is felt more comfortable. Power is sent to the front wheels via a new 5-speed manual gearbox. The gearshifts are smooth and slot in perfectly without a fuss. Making life easier, especially in traffic, is the light clutch. 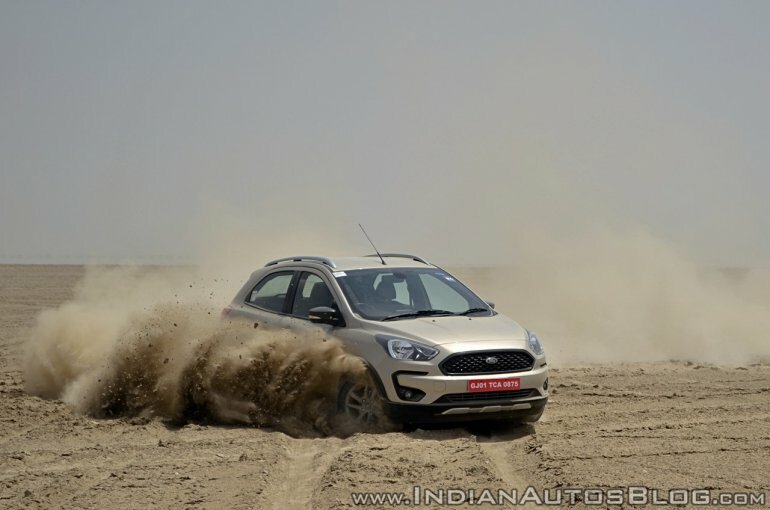 Ford claims an overall fuel consumption of 19 km/l to for the petrol Freestyle. While, in most cases, the real world figures tend to be off by a good 8-9 km/l, that is not the case here. It took a lot of aggressive driving and hours of fooling around at the Sambhar Salt flats in a very un-ecofriendly manner to bring the number down to around 11.2 km/l. So, I reckon, the real world figures will be much closer to the claimed number when the car is not driven like a lunatic. When it comes to driving experience, Ford vehicles tend to be segment benchmarks or close to it. And the Ford Freestyle is no different. Despite the increment in ride height, it remains stable at speeds through corners with well-contained body roll. The suspension does a superb job of ironing out bumps and maintain stability over bad patches. There were instances of me driving over bad undulations off the tarmac at triple-digit speeds, and the car managed to maintain its composure through it all. 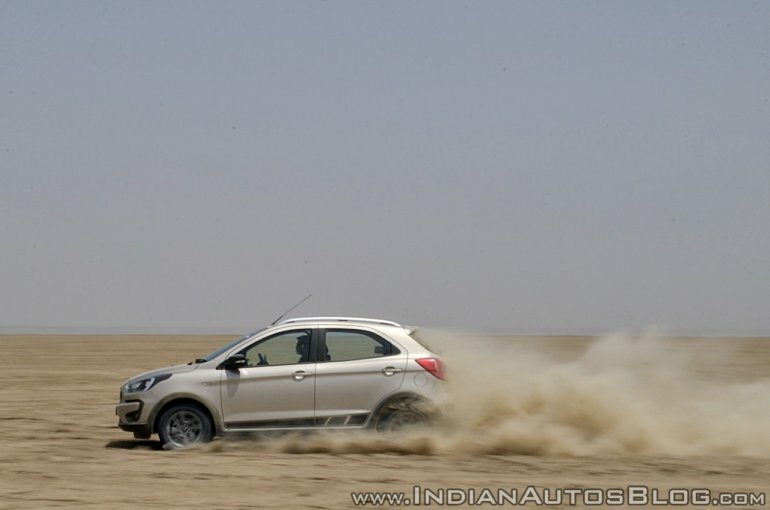 Owing to the needs of the Indian car buyers, Ford has had to keep the steering light and easy to use at low speeds. However, it transitions into fairly communicative and well weighted when you need it to be. The well-sculpted steering is brilliant to hold and plays a significant role in urging you to push the car to its limits. Speaking of which, if you do encounter a situation where you are about to cross those said limits then there are certain safety features to save your blushes. Ford has equipped the Freestyle with something called Active Rollover Prevention. It, coupled with traction control and Electronic Stability Program (ESP) does exactly what the name suggests. 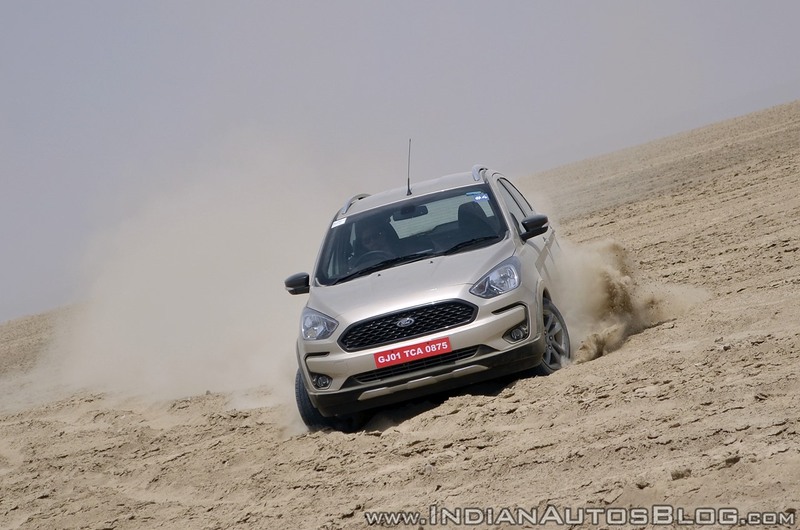 For the adventurous ones, Ford has provided a button which turns traction control off. Disc brakes at the front and drums at the rear handle braking duties. They do their job rather well and will keep those looking to indulge in some spirited driving as well as those battling city traffic equally happy. ABS with EBD is standard fitment. The Titanium(O) trim with ARP also gets Hill Launch Assist (HLA), which comes in handy when you have to set off on an incline. 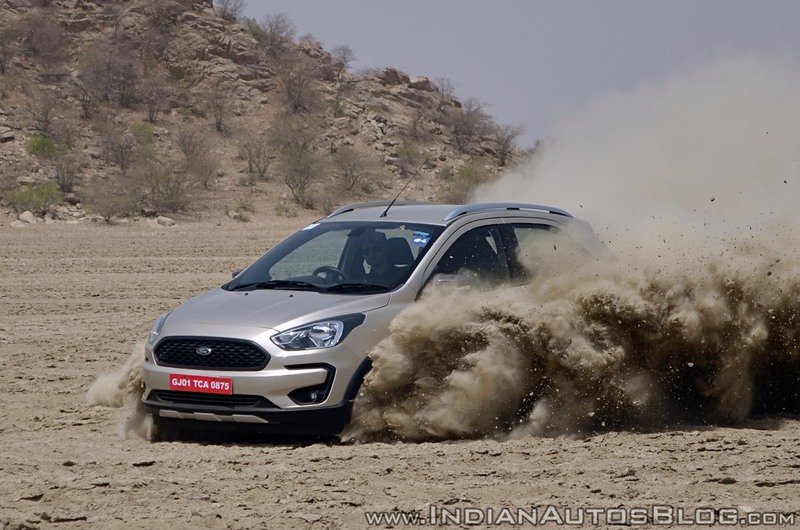 The Ford goes up against the likes of the Hyundai i20 Active, Fiat Avventura, Toyota Etios Cross, and the Mahindra KUV100. The segment, as such, isn’t exactly the hottest one in India in terms of actual sales, but the demand for SUVs/crossovers is at an all-time high. Ford’s latest does what a car in its price bracket is expected to do and does it well. To that, it adds the ability to tackle incredibly bad roads as well as tackle rough terrains. To a certain extent, of course. 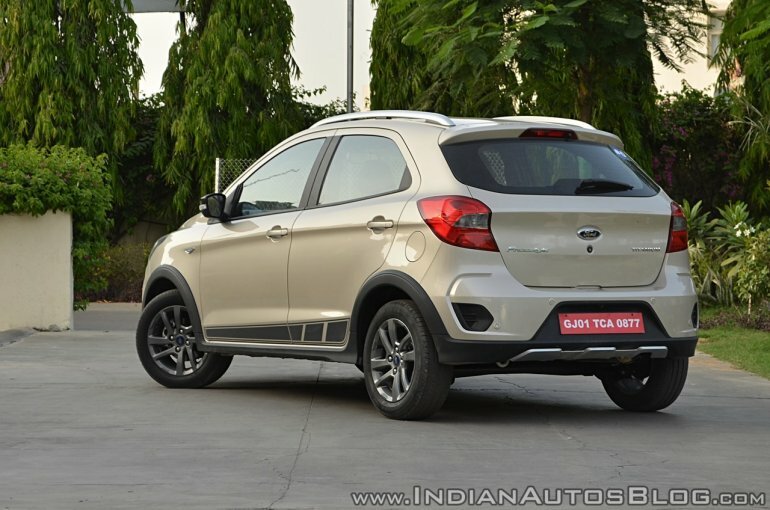 It does not lag behind in terms of features, scores high on safety with 6-airbags, ARP, standard ABS with EBD et al., and is genuinely enjoyable from behind the wheel. 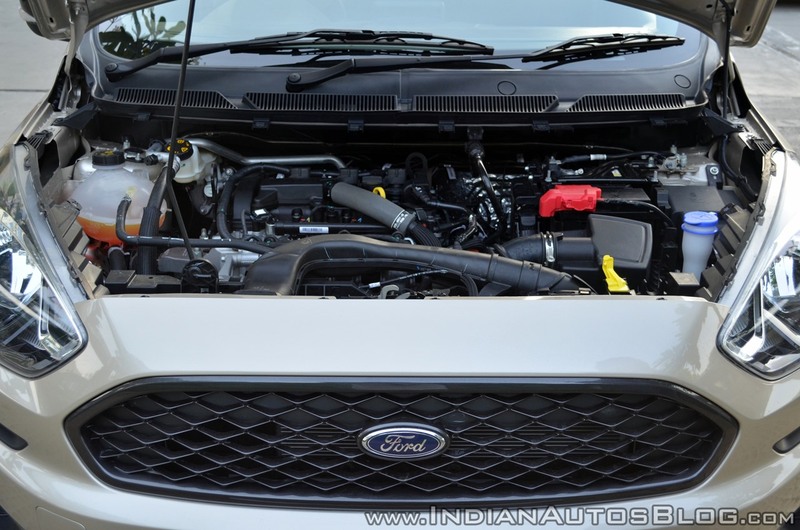 Ford’s new 1.2 L Petrol also impresses with its eager yet frugal nature. Add to that Ford’s claims of running costs as low as 41 paise/km over 1,00,000 km and you get a package that is hard to fault. Having said that, there are a few flaws, though. The rear seat space and boot space is just about adequate and there is scope for improvement in the overall cabin quality still. To give you a definite answer to that question, I will have to wait for the prices, which will be announced later this month. But, based on what I do know, the Ford Freestyle is an impressive package. If you’re in the market for a fun-to-drive car and you do not want to worry about scrapping it over bad roads or rough terrain then the Ford Freestyle is the vehicle for you.